"For myself, I always write about Dublin, because if I can get to the heart of Dublin I can get to the heart of all the cities of the world. In the particular is contained the universal." 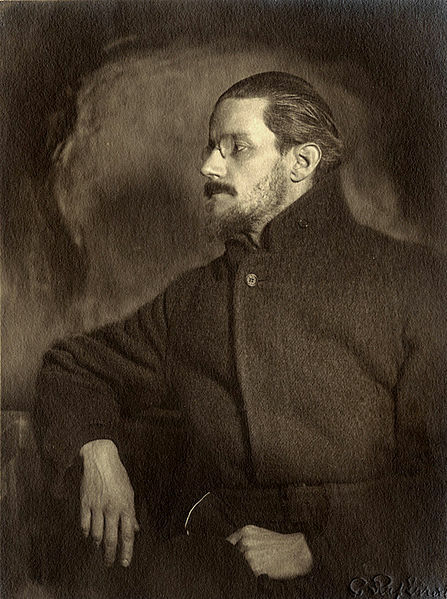 James Joyce is reknowned for A Portrait of the Artist as a Young Man, a semi-autobiographical sketch that describes the formative years of Stephen Dedalus, a fictional alter-ego of Joyce and a undisguised tribute to Daedelus, the master craftsman of Greek mythology. Joyce was also a fine short story writer. His short stories, like Eveline, often feature a "circular journey," wherein a character takes us on a journey of disappointment that ends where it began.